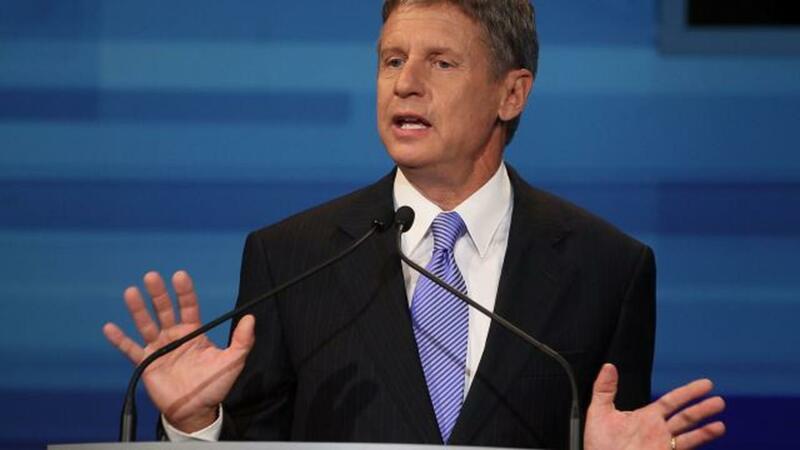 The Libertarian Party has a presidential candidate: former New Mexico Gov. Gary Johnson. In recent national polls, Johnson got about 10 percent in a three-way matchup against Donald Trump and Hillary Clinton. That 10 percent likely reflects discontent with the main parties' candidates as much as Johnson's popularity. Now that Johnson's the nominee, he'll be on the ballot in all 50 states. "I hope you can see the wisdom of this Libertarian Party exploding," Johnson said. But he has a lot of work ahead of him to make an impact. He needs to be polling at 15 percent in national polls to qualify for presidential debates.